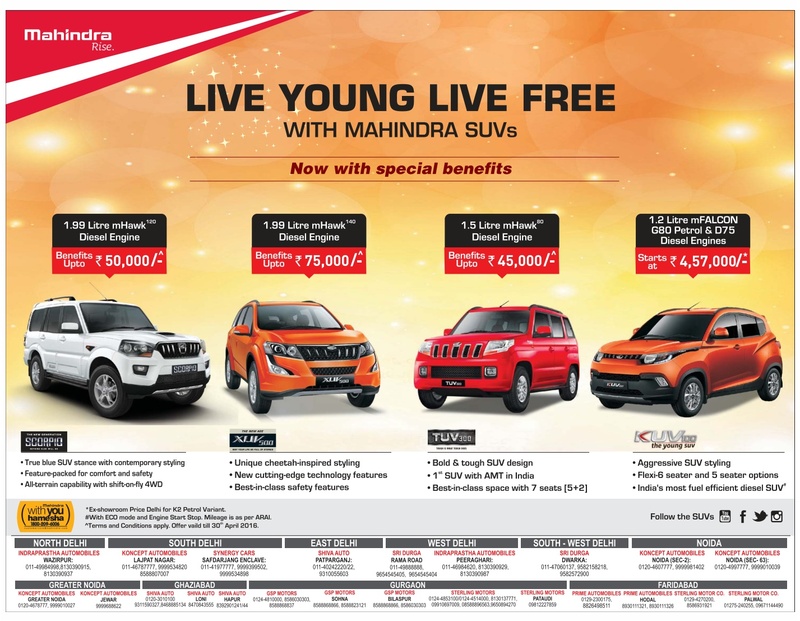 LIVE YOUNG LIVE FREE with Mahindra SUVs. Now with special benefits. Mahindra KUV 100. the young SUV.